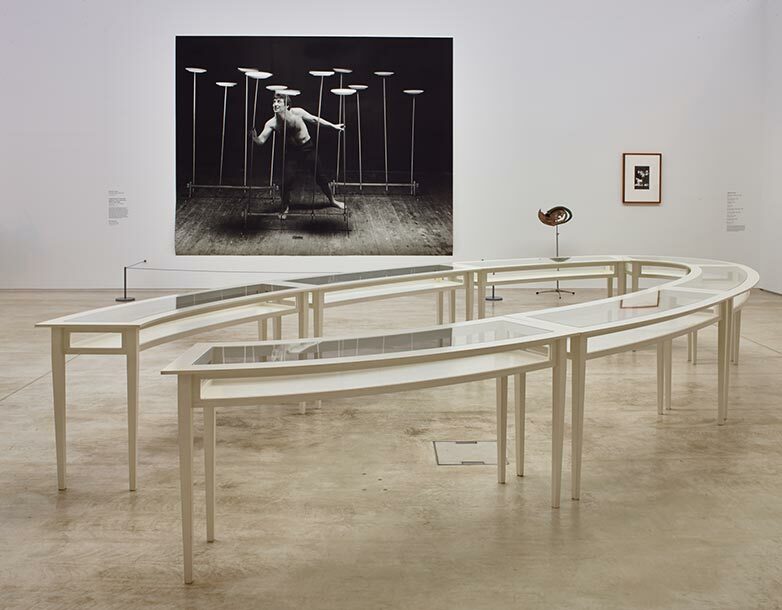 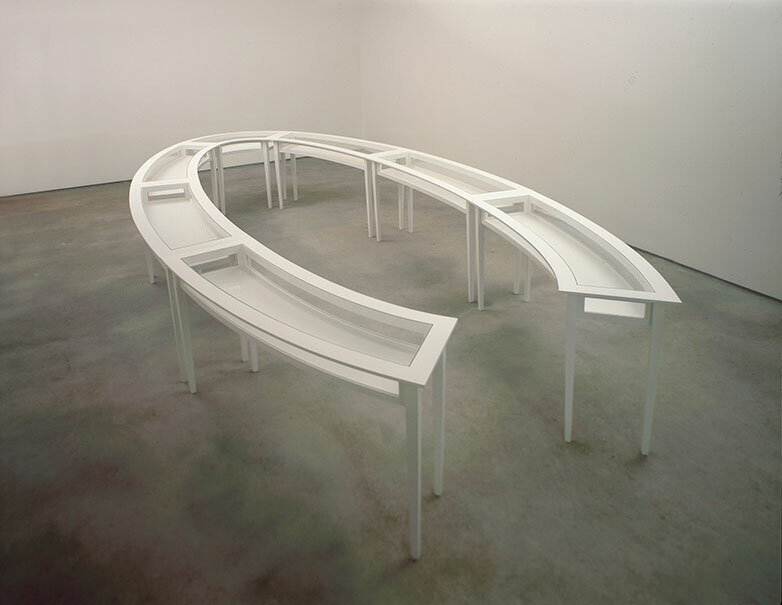 Negotiating Table was made in 1991 during the build up of events surrounding the first Gulf War in the Middle East. 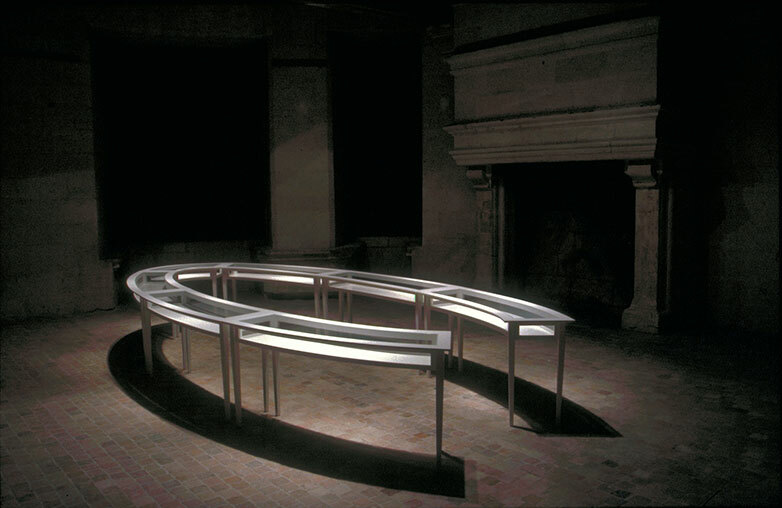 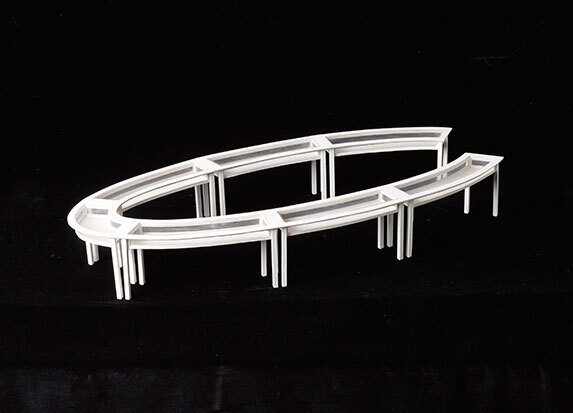 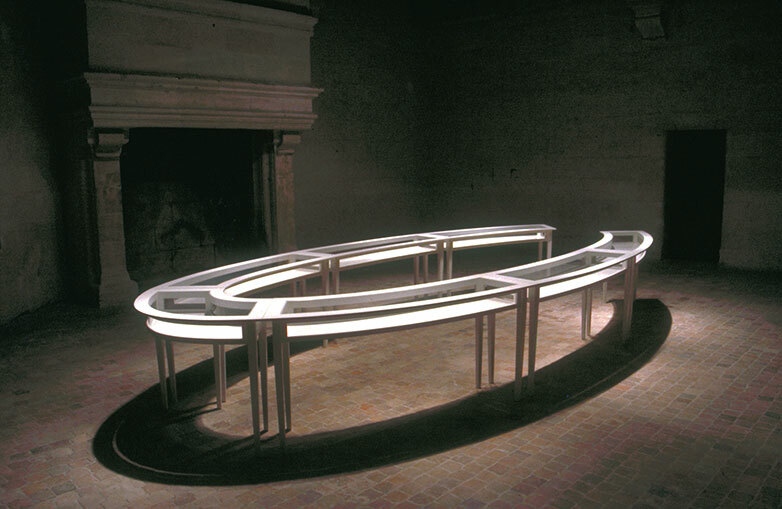 Although the elliptical design of the sculpture is loosely based on the conference table planned for the offices of the International Monetary Fund in Paris, it can be seen as an abstracted reference to currents of socio political idealism at times of international crisis. 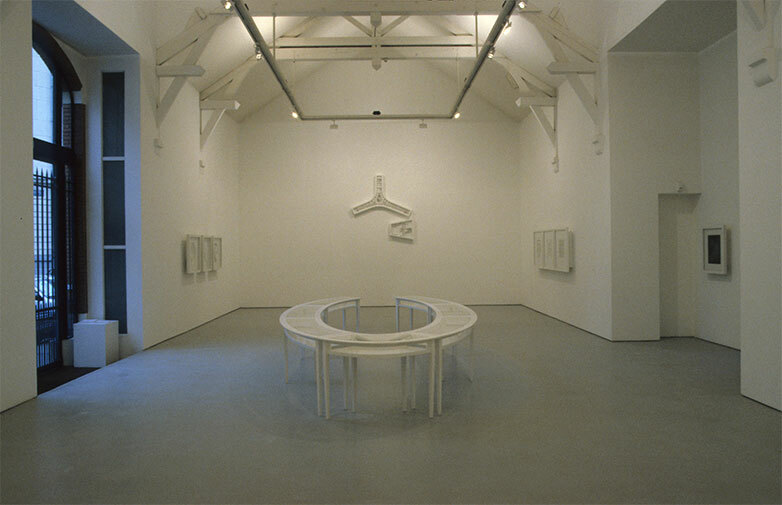 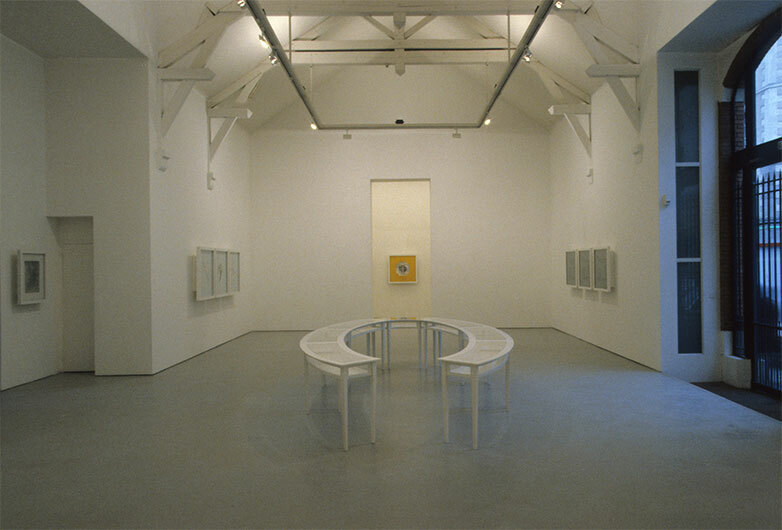 Langlands & Bell, Maureen Paley Interim Art, London, 1991, Photo: Prudence Cummings Assocs.